First of all, I have to add a disclaimer. This is going to be kind of preachy and this is going to involve some tough love. Now you know me, you guys, it’s just Jon, it’s just me. When I give you some tough love, it’s because I love you. You know love you in an American way because you are my peeps and this is how I roll. Sometimes we need tough love. And those who are used to dealing with me know that although I am ever so nice, I tend to be quite blunt and to the point, because I don’t really think that it does you any good, hearing all the lovey dovey stuff that just makes you feel good. You actually need to hear what you need to do. And you need the advice to tell you what you should do. You want solid advice. 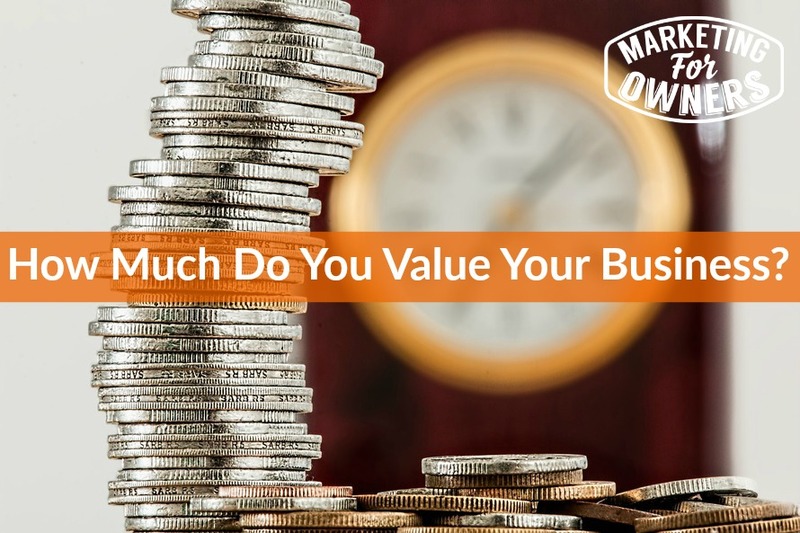 Now in the thing of how much do you value your business. What I mean by that is is not like valuing it as you are about to sell it. I mean what you are going to invest in your business? So many people that I hear, that I listen to, or that talk to me will tell me that things, they can’t afford to pay for things, things that cost hardly anything. So for example, if you are designing a, you want to design something like a brochure or a logo. A lot of people will think, well I can do it myself. Ee can get on canva for free. Something like that. But there is fiverr, I would say go to fiverr. www.fiverr.com $5, 3 pounds 50. Something like that, for a gig. To have something done. By someone who does not get to login to anything. They just do it for you. If you don’t like it, you think, don’t use it. It costs 3 and a half pounds. That’s yes. That is a Starbucks coffee. In fact in England, that’s less than a Starbucks coffee or Costa coffee. Isn’t it. If you wouldn’t pay for that, you’d rather do it yourself. You don’t value your time in the slightest. Because these people, you ask someone to do it, then you get on with the work that you are supposed to be doing. If you are a designer that’s fine. But how many of you are designers? Why are you messing about on Canva? I then see and I then see what people produce and it’s awful. And have to politely say woo it’s a good effort, but yeah. Alright I did a level art at school, you won’t get me doing a drawing, or doing my own logos. I know it’s not quite the same thing, but you know what I mean. Obviously I have an arty streak, I am not going to do any of that. I’m going to pay experts to do it. But more than that is advice. Alright I was talking to my good friend Shaun, he also has a similar sort of business, similar sort of approach to people. And we’re talking about paying. There are many free things and then many paid things. Now Shaun is developing a servicer, a new service, he actually built it for himself and it’s actually going to roll out. And we’re talking about price points. And he said to me, he’s thinking of maybe going for a thousand dollars a month price point. And I said yes you should. Because you’ll then get rid of all of the cheapskates. You might have 5000 users at $50 a month. But that’s going to create a lot of problems because the people who look for cheap items mourn a lot. 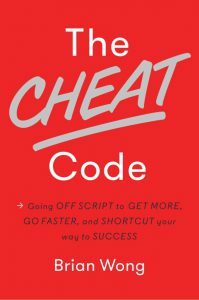 If you stick with the elite, the ones that value their business value and value at a $1000, you will get less sales but they’ll be more profitable. You’ll have less headaches because people will make to see the value in the item and make the effort. Now is this you? By the way just to clarify, I am not going to try and sell you his product. It’s not for sale yet, and it’s probably not for you anyway. But, and I am not suggesting you should just pay a $1000 a month for things. But if I said to you for instance that I was offering, and again no, not trying to sell you something now. If I told you I was trying to offer you advice. And it was going to be, if I decided to, I don’t know 300 pounds a month and you could get me anytime, and talk to me for advice. Would you say, ‘oh no I can’t afford that’? Or would you think, ‘Wow, Jon you’ve got lot of experience. You probably know all the things I need to know. You could possibly stop me wasting my time. In one talk, one hour, you could probably stop me wasting 300 pounds of my time. Or you could give me some advice that saves me that. I could have been about to spend 5000 pounds on a new website. You could help me get it done for 1000 pounds. You’ve instantly saved me that, fantastic. Or do you think, ‘Oh 300 pounds a month. Hmmm. Yeh, no. no. I go to a local network event and it’s free. Or I go to a chamber of commerce event, and its free.’ how much do you value? You have to invest in your business. If you cannot afford. If you are that person, and just to clarify again. I am not about to offer you something for 300 pounds a month. I am just making an example. But if you cannot afford that, then listen to me, go and get a job. Stop playing at having a business. You haven’t got a business, you have a hobby. A hobby doesn’t pay the bills. When I had my last company, Triangle Fire Protection, I used to go and buy small fire extinguisher businesses. Everyone wants a massive value on their business. But the number of people working for themselves, that have work for themselves for 10 or 15 years, when I look to their books, their earnings, their take home earnings before tax was less than 10,000 pounds, was shocking. Some were 5,000 pounds. It’s shocking. They would have got paid a salary of 20,000 pounds for anybody employing them to do what they do for themselves. But they wanted the freedom of their own business. That’s not a business, that’s a choir. They would have been working all the extra hours that you have to run a business. Why? If they would have come to get advice, their business would have grown. But they are not going to pay for it because they’ll say I can’t afford it. They had to invest. It’s like with adverts. You have to pay for the advert in advance to get the sales afterwards. Why does anyone do it? They can’t afford it. Because they don’t know what they are going to get unless they’ve, until they have done it. So you have to invest. So you need a bit of money, upfront. If you are at startup stage, you need some money because you are going to have to pay yourself wages at the end of the month, oh were you going to do if for free? Were the people that going to work for you, do it for free? No. and it’s the same with advice, and the same with tools, the best tools. A lot of the tools are free. But the best advice that is going to build your business is going to cost you money. Please spend some. Spend it wisely. Don’t pay everybody, but spend wisely. Do not think that something is more expensive. I, just go back to myself, okay. When I started Fire Protection Online, I joined a group in America that was $10,000 a year. I had not generated a penny in income. Yeah. I used to have to fly to America for it. I stayed a member of that for 5 years. Yes, work it out. $50,000. My business from zero, thanks to that help did 1 million dollars and 2000 pounds in the first 1 year. And I wasn’t expecting it. I was expecting it to do up to a 100,000 if I was lucky. That’s, that’s why I stayed for 5 years. With the e myth, I think I paid something like 3000 pounds a month. Look my business now is very successful. I was with Strategic Coach, that’s a hefty investment. Again, why do you think I pay it, just because I can? Remember I had no money when I started those. And I am not suggesting you run out and spend all this. But please value your business. Value advice and pay what its worth. There you go. Tough love. It is Monday which means it is time for a book for the week and I’ve got one for you. 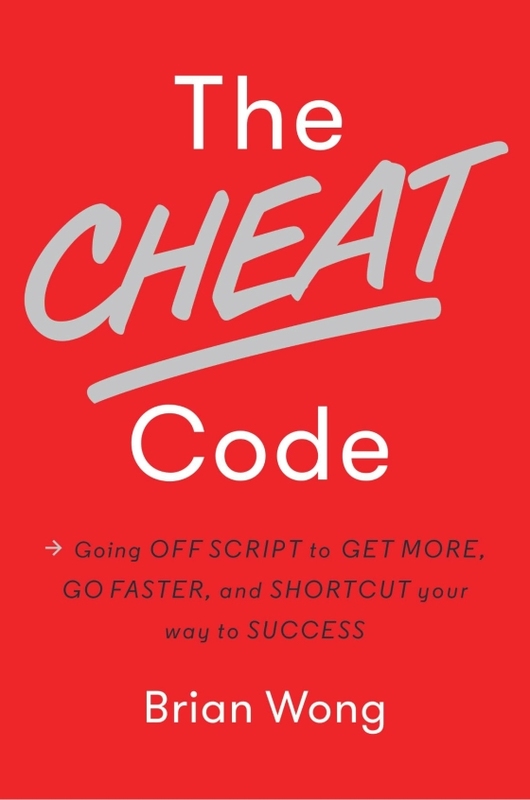 Today’s book is The Cheat Code. This book is by Brian Wong. It has 71 tips and cheats. Now the guy is quite young. And it’s a good thing, it’s a good book because you can read in bits and starts. You can get little bits of inspiration. If you cannot get a couple of good ideas out of those 71 ideas he puts out, ideas and inspiration, then you are not reading it properly. So it’s a good for inspiration and for an easy read on a commute. Because you can say I read 3 now, 5 now, 10 now. Chapter by chapter. Okay. Anyway thanks for listening, I’ll be back tomorrow.